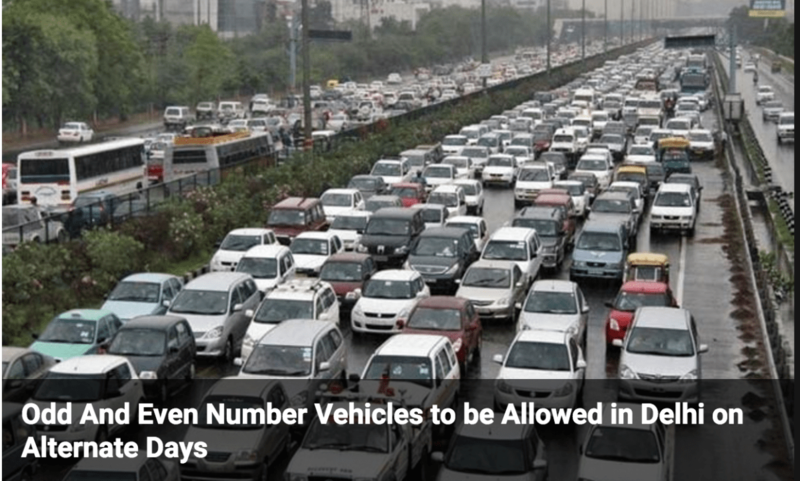 UPDATE: Under fire over rising pollution in the city ,the Delhi government has announced that private vehicles with odd and even registration numbers will be allowed on the roads of the national capital only on alternate days starting next month.This means that from January 1, 2016, if vehicles with number plates ending with an odd number can be driven one day, only those ending with an even number can be brought out the next day. As reported in NDTV, a joint meeting of all stakeholders including traffic police, transport department and Municipal Corporation of Delhi will be called to prepare a blueprint for implementation of the executive order. This was announced after an emergency meeting called by Chief Minister Arvind Kejriwal, after the Delhi High Court said living in Delhi was like “living in a gas chamber“. HII has been following this issue closely. It is encouraging to see the government take proactive steps to deal with the air pollution crisis.However, the fact that Delhi does not have an effective public transportation system may be a concern for many. We will update our readers with further developments. To read our previous article on air pollution, click here.